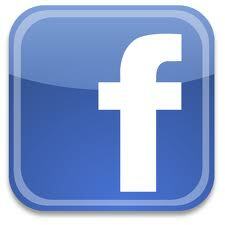 The division operation encompasses all aspects of air compressor systems. Including complete new units along with all accessories. With the various distributorships the company can offer a wide range of products and service. Remanufacturing of compressors for the air compressor industry to original specifications is accomplished thoroughly and efficiently through utilization of the most modern techniques in our state of the art facility. CPR is the leading provider in the air compressor service with our team of technicians. Our factory trained technicians can handle any problem in field or in house. 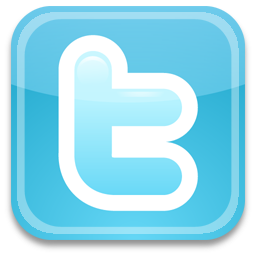 Our Technicians are also on 24 hour emergency service 626-444-4521 call as to separate ourselves from our competition. In 1961 Milton Harwood started the company known as Compressor Parts & Repair, Inc. With his experience previously owning an air conditioning and heating service company, he knew the demand for remanufactured compressors. In 1971 his nephew Robert Harwood came on board and helped him with other divisions as to remanufacturing everything in house. By 1980 Robert Harwood had taken over all plant operations. With our ability to remanufacture compressors Milton Harwood opened a Compressed Air Division. In 1989 his son Keith Harwood took over operations of the compressed air division. He marketed the division to be one of the largest Quincy compressor distributors in the country. In 2001 Milton Harwood passed away. Robert Harwood took over as President and Keith Harwood as Vice President. As a family operated company we have continued to grow keeping up with the latest technology to meet our customers needs and demands. 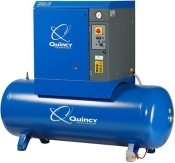 The Quincy QGS offers superior compressed air performance in a compact, modern design. With a continuous 100% duty cycle, this rotary screw compressor also operates without the elevated vibration and sound levels normally associated with typical piston compressors. Optional receiver tank and integrated dryer available.